The Year of the Monkey is upon us all, join the elemental monkeys as they guide to a Better and brighter future. 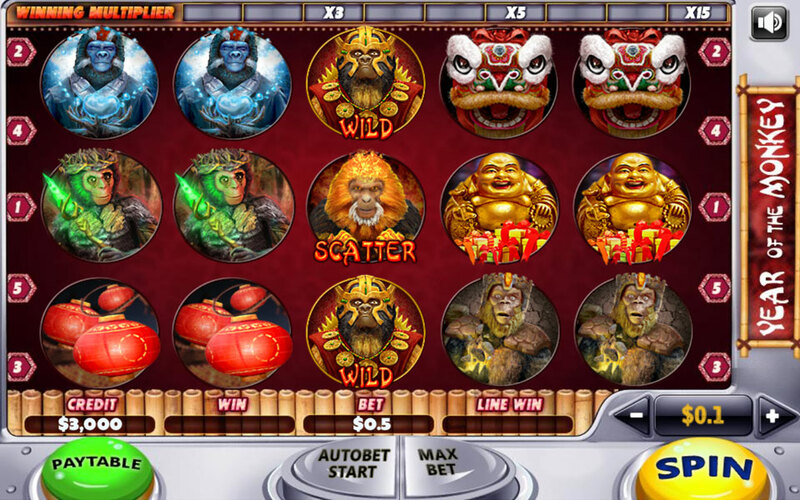 Just like the 5 elemental monkeys, this games features 5 winning lines which you can play both right to left and left to right. 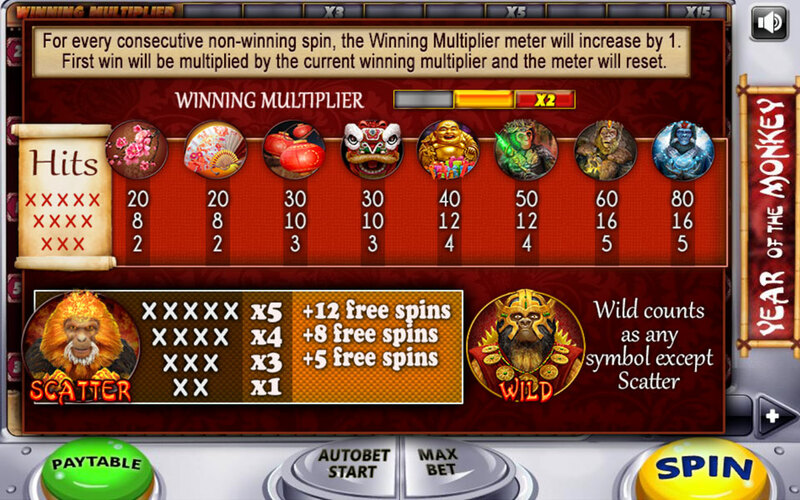 Also, introducing the winning multiplier – this feature will multiply your first win after every non-win round up to 15 times!! Pay close attention to the Scatter bonus - By receiving 2 scatters, you will receive your bet back, by receiving 3 or more will grant you up to 12 free spins!